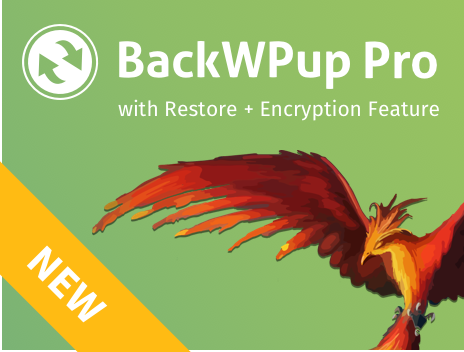 BackWPup Release 3.6.5 and BackWPup Release 3.6.6 are respectively a release with a bugfix only for the free version and a release with a bugfix for the pro version. In this blog post we give you further information about what works now and why it didn’t work before. The version 3.6.5 was a release made only for an issue we had for the free users, nothing that affected the pro version. That’s basically why pro users didn’t get any update. The problem was in the Admin Notice that we show to the free users to inform them about promotional content related to the pro version. We discovered that this content didn’t update properly. Luckily this is not something that affected the plugin functionality, so nothing to really worry about. And of course this is now fixed! The version 3.6.6 fixes only one issue that was already addressed, at first, in the version 3.6.3, but then appeared again in version 3.6.4: so we wanted to provide a definitive and quick patch to fix the problem once for all. And we did it! The problem was that when a user tried to exclude some files from the back up process, due to an incorrect string comparison this could lead to exclude also other files that share a similar name to the original one selected. Release 3.6.6 prevents such issue to happen anymore.